Erik Salaj from Winsoft has release a text to speech and a speech recognizer demo for Delphi XE7 Firemonkey on Android. He used his JavaImport for Android tool to create Object Pascal wrappers for both the text to speech functionality and the speech recognizer functionality that are built into Android. The first demo includes a simple example on how to take a string and have Android say it with the text to speech functionality. The second demo includes a simple example on how to listen for speech and convert it into text that can be acted upon. 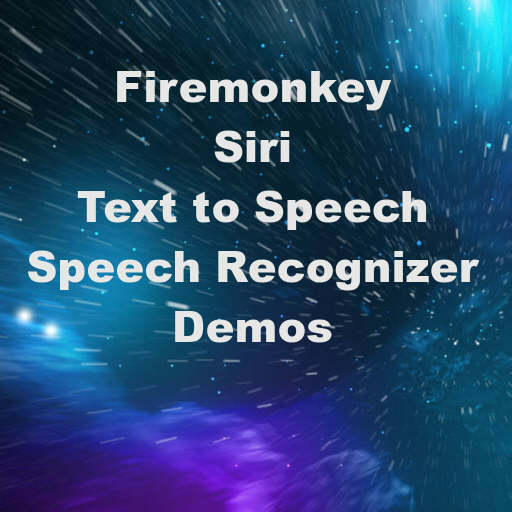 With these two demos you could built your own Siri application using Firemonkey. Recognize speech from the user on their Android phone, perform an action like doing a search to get data, and finally respond to the user using the Text to Speech functionality. Both of these demos should work in Appmethod as well. Head over and download the full text to speech demo for Delphi XE7 Firemonkey on Android. Head over and download the full speech recognizer demo for Delphi XE7 Firemonkey on Android.